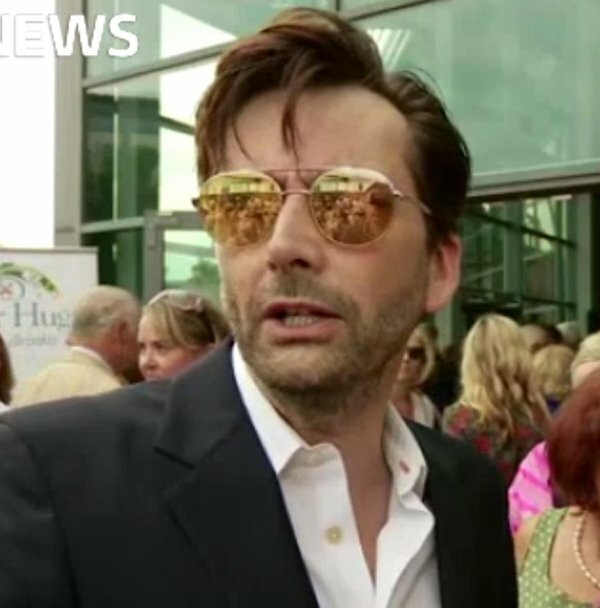 David Tennant attended a charity screening of his movie You, Me And Him on the island of Jersey on Sunday 1st July 2018. The event took place at Cineworld Jersey which is located at The Waterfront Center, La Rue De L'Etau, JE2 4HE. Other cast, production people and even celebrities (including Nick Owen) attended as well as David Tennant. The red carpet part of the evening was scheduled to start at 6.30pm. The doors opened for seating at 7pm and there was a Question And Answer panel at 7.15pm before the screening. Tickets were £35. The screening was to raise funds for the Jersey Baby Bean Appeal in conjunction with the charity Baby Lifeline. Their current project was to buy a seventh wireless fetal monitor for the Maternity Unit at the General Hospital on Jersey. You, Me And Him tells the story of two women's differing experience with pregnancy. One is a 40-year-old magistrate, the other an artist and carefree party girl. The twist is they are in a relationship with each other. David Tennant plays the role of the couple's neighbour John. His character is described as an obnoxious Scot who is responsible for one of the pregnancies. You, Me And Him had its European premiere at the Glasgow Film Festival on Sunday 25th February which David attended. It will be released in cinemas in the UK on Thursday 12th April. The movie was released online in the US on Friday 15th December 2017 and shown on some minor television stations there from Friday 29th December 2017. Baby LifeLine is a national charity supporting the care of pregnant women and their new born and unborn babies all over the UK. David Tennant is a patron for Baby LifeLine supporting their Monitoring For Mums appeal which will raise funds, region by region, for much needed technology and training which will help to give mums and babies the best care possible. Link to purchase tickets for the You, Me And Him screening. Link to posts related to David Tennant at the Jersey screening of You, Me And Him on Blogger.com (usually with more details). David Tennant to attend charity screening of You, Me and Him on Jersey. Details of a You, Me And Him red carpet screening on Jersey on 1st July in aid of Baby Lifeline have been posted to Twitter. Some stars from the cast will attend (but names have not been announced yet).